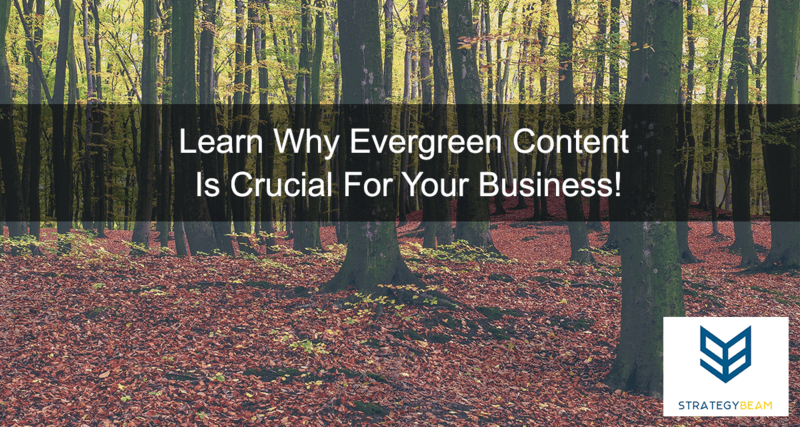 Learn Why Evergreen Content Is Crucial For Your Business! Are you looking for ways to get the best results from your blog and website? Do you want to provide information to your audience that will always be valuable? Let’s take a look at evergreen content and how it can benefit your blog and benefit your business! Evergreen content is content has no expiration date and will keep its value over time. This type of content comes in many different forms like articles, videos, images, infographics, and blog posts. No matter how you create it, evergreen content allows you to build a content strategy that will always be relevant and valuable to your audience for a long time. Evergreen content provides a “content base” for you to write about more technical or niche topics within your market. This “base content” provides background and reference material for you to link back to at a later date to inform your audience. In essence, evergreen content is the first thread that ties your entire content strategy together. This type of content should not be overlooked, because it has the longest lifespan and offers the best opportunities for connecting your content together. Evergreen content is an important part of content marketing because this type of content provides a basis for future posts. As your content becomes more technical, you can link back to this content to provide a basic reference for your audience. This helps you to be an authority and thought-leader no matter what stage your content production is at. A common strategy is to create evergreen content at the early stages of a business blog. This approach allows you to produce great content in a short amount of time and link back from future blog posts. A strategy like this will grow your SEO ranking and help connect your content on your platform. Always be thinking about the future when you create content for your business. Don’t just be thinking about what you are writing now, but be thinking about how you will use a piece of content in the future. Evergreen content is a key part of a business content strategy. It helps build a backlog of relevant content for linking purposes and helps build SEO. Along with immediate benefits, it also shows your authority and thought-leadership. Now it’s your turn. What type of evergreen content do you use to engage your audience? 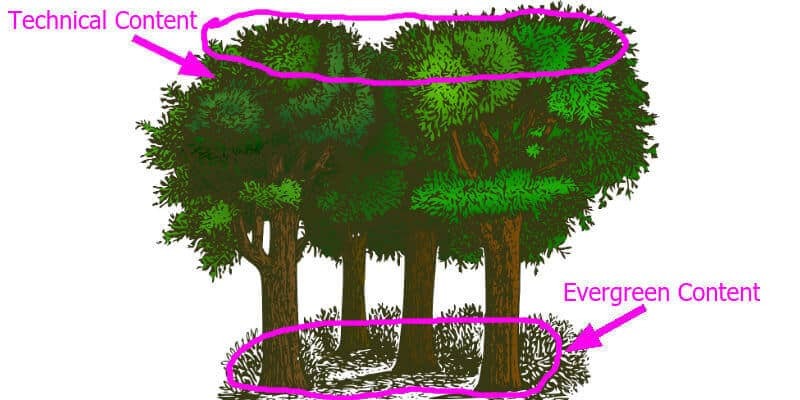 How have you worked evergreen content into your blog or content strategy? Let me know below in the comments, and feel free to connect with me on Twitter or email me with your questions!